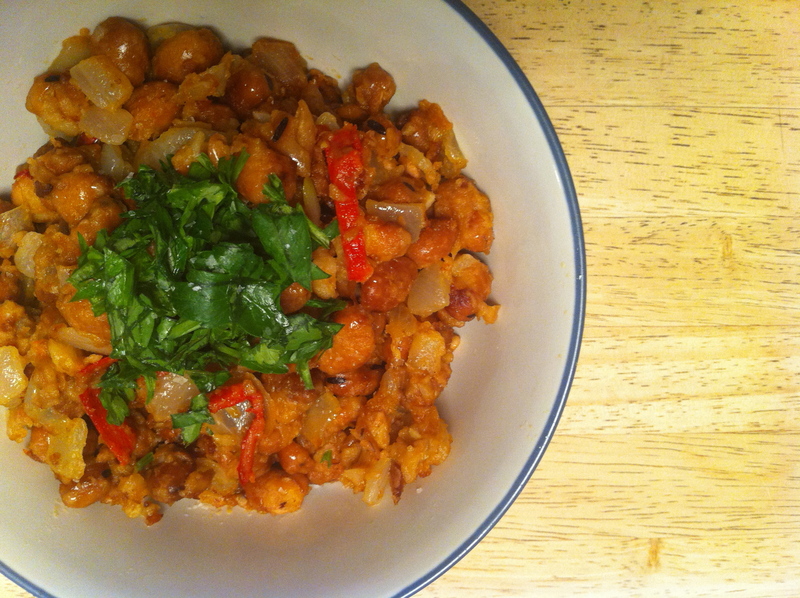 Ful Madames, an Egyptian dish starring fava beans. Nothing solves a rut in the kitchen like bringing a new ingredient into the mix. The end of a long and terrible winter finally yielding to sunshine and the ability to leave the house without wishing death upon yourself also helps. When I find myself repeating tried-and-true dishes instead of taking on something new, I like to buy something I don’t know much about and run with it. That’s how I became reacquainted with fava beans. I’ve used fava beans before, but they’ve been MIA from the grocery store for quite a while. So I was pleased to find some at a local market recently. Shortly after I just happened to read about an Egyptian dish called ful madames served at Safari Restaurant and Banquet Center in Minneapolis and I decided to give it a go myself. I’ve found several recipes, spellings and some controversy over the history of the dish. But it’s easy to make and delicious. What more can there be to know? Here’s how I did it, based on this recipe. or Foul Mudammas or Ful Medammis or Ful — I don’t know, I’m not a scientist. Add the fava beans, lemon juice and two more tablespoons of olive oil. Sauté for 10 minutes, stirring occasionally. Aboutt half the beans should be mashed beyond recognition, so be rough about it. Really. Go on. Mash. When Ful Madames has been mashed to her liking, add a touch more olive oil and the parsley. Eat it. With pita bread. Say, are you a fan on Facebook? Then you’ll know even earlier about what I’m cooking, before the recipes hit the blog. Also: It makes me feel special. Come on. Make me feel special. You're in My Vacation Home Kitchen. Yeah, I'm wearing a driver's cap with Mickey Mouse ears. Jealous? As if fate needed to remind me that there is balance in life, I was lucky enough to spend a week in sunny Florida … followed by a week with a cold once I was back home. This added up to two weeks without much time in the kitchen. While in Florida, we rented a vacation home, complete with a hot tub, pool, and, of course, a large kitchen. Funny how your favorite room in the house is no longer where you want to spend your time once you can see a hot tub out the window, though. So we instead relied on easy meals and my favorite pizza place in Orlando, Giordano’s, for Chicago-style stuffed pizzas with spinach, broccoli, garlic and olives. Yum. Let’s go back right now. I’ve had a craving lately that I couldn’t quite pin down. Then I realized: I want to eat spring. Months of climbing through snow and missing quality time with the sun made me want to cook dishes that would trick me into believing it was springtime. If not all of me, then at least my tongue, and that’s a part of my body I try never to anger. So I ran to the store without much of a plan and wound up with a new recipe: my Fresh Herb and Grain Salad. The fresh flavors come through in each bite, along with a great nutty texture, thanks to the mix of quinoa, farro and bulgur wheat. To add an extra bit of happiness and sunshine to the mix, I suggest eating this while riding a unicorn across a rainbow. Should unicorns have gone extinct by the time you read this, substitute a chariot led by puppy dogs and leprechauns. As this was an eat-as-you-go kind of recipe, I just kept throwing in more dill and parsley until I was happy. Try the three grains out as a base for your own salad, then experiment with it and let me know if you like other herb combinations as well. The herbs are where almost all of your flavor is coming from, so be generous. I also tried this salad as a warm side dish, and it worked well. Just don’t cool the grains after you’ve cooked them if you’re going for that, then serve the leftovers as a cold salad later on. Prepare the quinoa, bulgur wheat and farro. I use a rice cooker for my quinoa, then rinse the farro and cook it in boiling water for about 15-20 minutes, throwing in the bulgur wheat about halfway through. Meanwhile, juice both of the lemons and whisk with the olive oil. Mince the fennel bulb and finely chop the herbs and sprouts. Combine herbs and sprouts with lemon dressing. Drain and cool the grains, then mix all ingredients. Add salt and pepper to taste. Garnish with parsley. Hello, friends. It’s Fat Tuesday. Let’s get fat together by eating a generous portion of delicious Mexican melting cheese. Today I made my Layered Potato and Spinach Enchiladas for you. Why layered, rather than rolled? To cram in as much food as possible into a single baking dish. More food means more cheese. More cheese means more happy. Unless you’re lactose intolerant, in which case our definitions of true happiness likely differ a great deal. I’m a healthy eater, but, dude, I like cheese. OK, I have a trick to make this not fattening at all, but you’ll have to watch the entire video to learn the six steps involved in getting there. First things first. 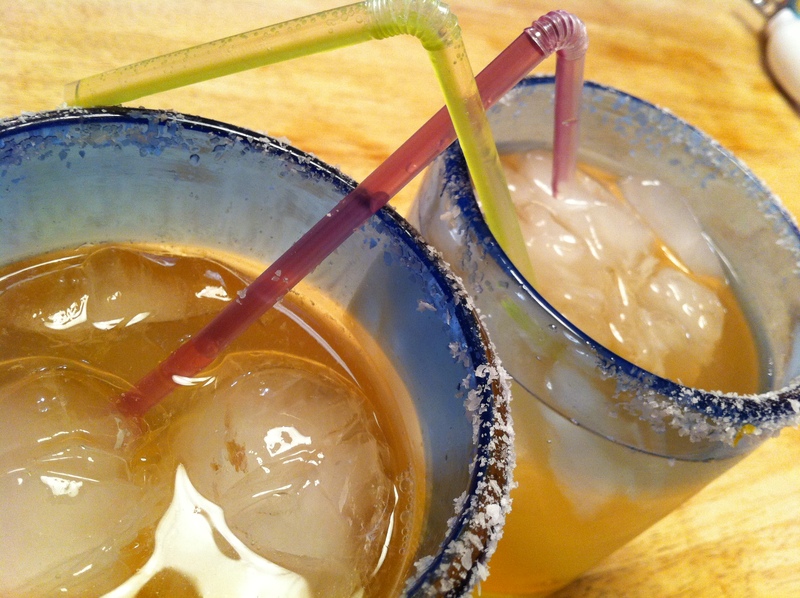 Make your Tequila Fresca. Boil the potatoes, whole and unpeeled, about 25 minutes. Heat the oil and sauté the onions until glistening, about two minutes. Add the spinach and, if fresh, toss with tongs until wilted. Chop one chipotle pepper and add to spinach mixture, as well as some of the adobo sauce. Slice the serrano pepper and add as well. Stir. If you’re feeling brave, add one more chipotle pepper. If you’re trying to impress someone with your heat tolerance, add the whole can. I will miss you. Coat the bottom of a 9×13 baking dish with enchilada sauce. Layer six tortillas evenly. Coat lightly with more enchilada sauce. Drain the potatoes and cool slightly. Either cut into 1-inch cubes or just break them up with a spatula. Throw them in a mixing bowl. Add the black beans, corn, cumin and chili powder. Stir well. Add the potato mixture to the baking dish. Smash it in. We need room for a lot of food. Add cheese. Be generous. Check your Tequila Fresca. Are you 1/3 of the way through? Try to keep up. Add six more tortillas. Coat lightly with enchilada sauce. Layer the spinach mixture evenly on top. Smash it down. Add more cheese. Yes, be generous again. We’re going into the later layer. Is your Tequila Fresca 2/3 gone? Go on. Catch up. Add the last six tortillas. Tuck them into the dish if necessary. Coat with enchilada sauce. Don’t let any part of the tortillas remain exposed. Add the rest of the cheese. If you have extra cheese, reward yourself with nacho. Cover with foil. Bake for 30 minutes. Remove foil. Bake for another 10 minutes, ensuring cheese has had appropriate time to melt and hug other ingredients. Now you’ve got 40 minutes. Make more Tequila Fresca. Make more nacho. But only one at a time! You don’t want to fill up. Let the enchiladas cool about 10 minutes. Slice into 8 pieces, equally are according to how much you enjoy the company of those you are serving. Garnish with sour cream and green onions. Serve with Tequila Fresca. Last night, I made Layered Potato and Spinach Enchiladas. And I filmed it all. Just for you. Now, I don’t have the video ready to go yet, but I do have another offering for you. In the grand tradition of using tortilla chips as vehicles to eat all of the ingredients as you cook a Mexican dish, I give you this — my top-secret recipe for making nacho. Earlier this week, I gave you my leftovers. Think of this as an appetizer, before those enchiladas are ready for you. Fun Fact: It’s really hard to look like a normal person in the randomly assigned screenshot YouTube assigns. Please enjoy how strange I look. I do it all for you. Fun Fact 2: Want to stay in touch? Use the e-mail sign-up form on the right to get an update every time I publish a new post. Fun Fact 3: I think you’re great.